Proverbs 27: 5 Better is open rebuke, than hidden love. 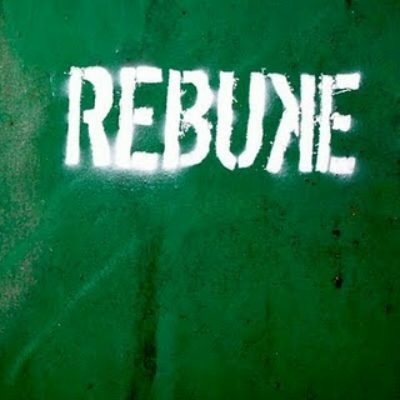 How well do we take rebuke? We really don’t like it. We don’t look forward to it. In fact, as adults, we do everything we can to avoid it. Rebuke hurts. It hurts our feelings, our pride and our self esteem. Would you rather someone talk behind your back? Which one would make you feel more betrayed? Proverbs provides much wisdom, and we find that it is better to rebuke someone face to face than to talk about them behind their back. If we were to be rebuked, how would you like for someone to do it? From the pulpit and call you by name? In front of all your family or friends? I really would not like that. It is better to set the time aside to talk to the person one on one. No one has to know except the two of you. In order to do that we need to have love. Rebuke has to come out of love, not anger. Rebuke is done because a loved one is going the wrong way and walking the wrong path. Rebuke is not about our personal likes or opinions. It’s easier to accept rebuke when you know someone loves you. Love everyone so that you can receive their advice with an open heart and an open mind, and vice versa.